Mr Pattacake gets a letter through the post. It's another cooking job! This time he's been asked to make tasty dishes for all the pets at Animeals. In all his rush, he doesn't realise that things have gone horribly wrong. All the animals are acting strangely - and he has no idea why! Will Mr Pattacake be able to save the day this time around? Join Mr Pattacake and his lazy cat, Treacle, as they discover a very unconventional new breed of animals. 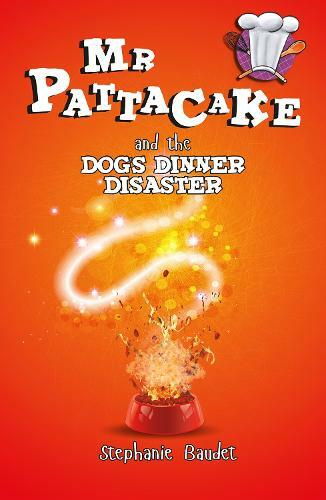 The Mr Pattacake 10 book series tells the stories of an eccentric chef and his cat, Treacle, who are always getting themselves into sticky situations. Readers aged 5+ will love following this world of food and adventure.